We're an independently owned window cleaning company based in Carlsbad but serving all of San Diego county. 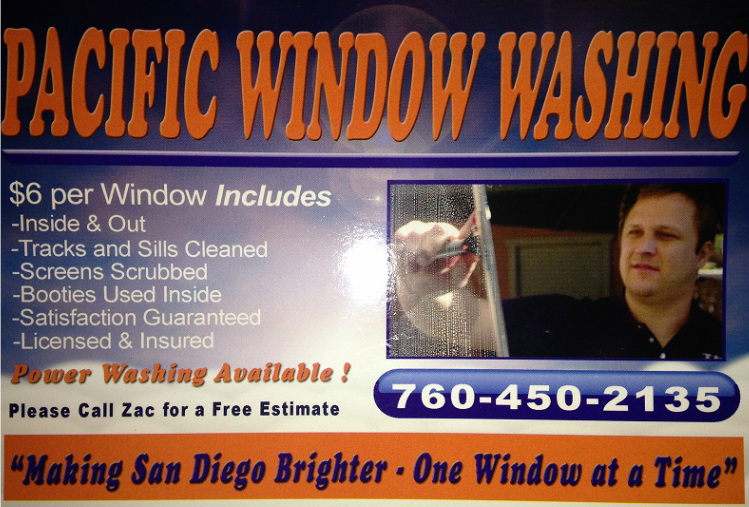 Pacific Window Washing was started by Zac Powell, over 14 years ago and the experience to bring you a great product. Zac is a friendly, hard worker who cares about doing an honest job, and takes extra care to make his customers feel like they've hired the best window cleaning company in town. When you call Pacific Window Washing, the owner Zac will answer the phone, and it is Zac who will show up to do the work. Give us a try and you will get the care that comes only from a small company, thank you.